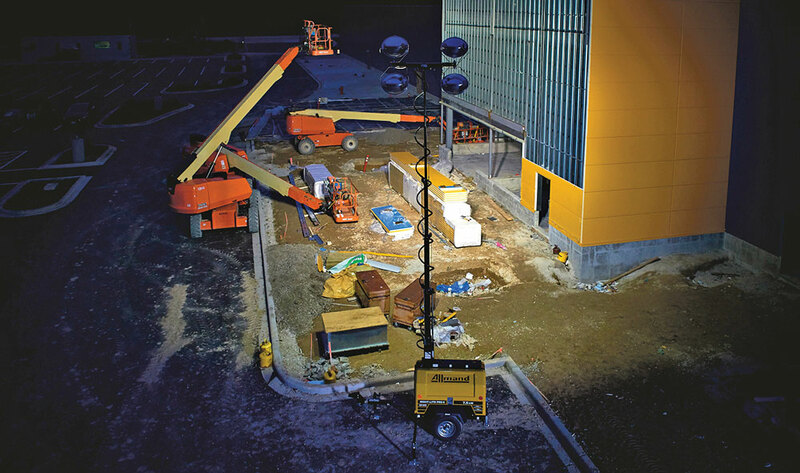 Light towers may not command the attention that large equipment does on a jobsite, but they play a big role in keeping crews productive. These sturdy machines lend a hand in illuminating construction sites, mining locales, disaster and emergency response areas and special events when a little extra light is needed for work to continue. And while light towers look fairly standard with a trailer, mast and bulbs, there are customers pushing for new technologies to make these machines more efficient, easier to service, etc. In response to that, manufacturers such as Atlas Copco, Genie, Chicago Pneumatic Power Technique, Doosan Portable Power and Allmand Bros. are working to make their products even better. Let’s take a look at how. The biggest push in the light tower market recently has been the swap from traditional metal halide bulbs to LEDs. Just like LEDs have taken over the hearts of energy-efficient minded homeowners, light tower owners are seeing the benefits and wanting more. In fact, five out of the five manufacturers we surveyed for this article agreed that LED technology is taking over the light tower market. Molly Frank, Genie product manager, Terex AWP, further explains its advantages. LED technology is taking over, and the CPLT V5 + from Chicago Pneumatic Power Technique is gaining popularity. Speaking of transport, vertical masts are another feature customers are gravitating toward. This configuration allows companies to easily haul even more units to a jobsite. An automatic start/stop feature is also starting to take hold. This allows operators to turn on the units remotely or have them turn on and off at a particular time — a great perk for those working in the early morning hours. Forget nine-to-five schedules. 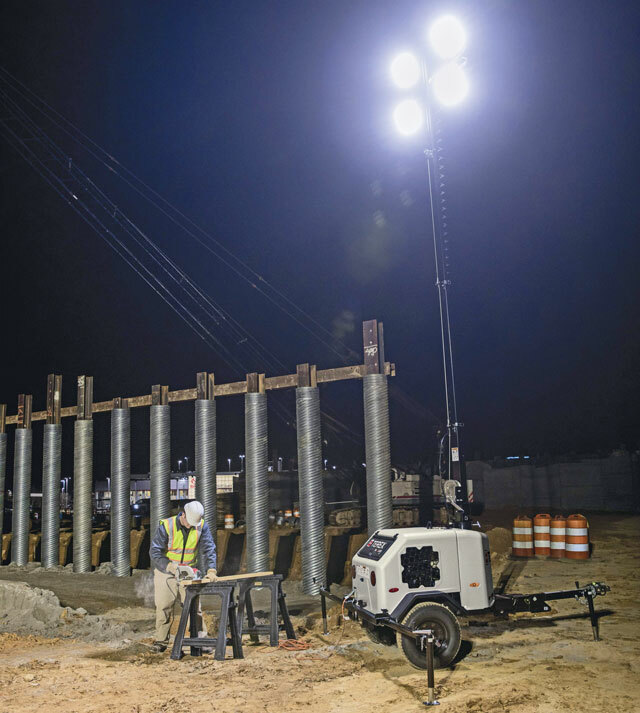 Light towers can illuminate construction sites well after the sun has set. Equipment owners are always looking for ways to make their machines work smarter, so it’s no surprise that telematics is gaining ground with light towers too. Joan Westwater, product manager for jobsites at Allmand Bros., says that the company is seeing a significant push for IOT-enabled (Internet of Things) equipment, which allows operators to gather and use diagnostic, location and performance data. Brown also sees the trend and mentions that the rental sector is a large part of that demand. There’s even an interest in looking beyond the traditional diesel- or gas-powered units. Nieto points out that electric light towers are gaining traction thanks to their simplicity and reduced investment. 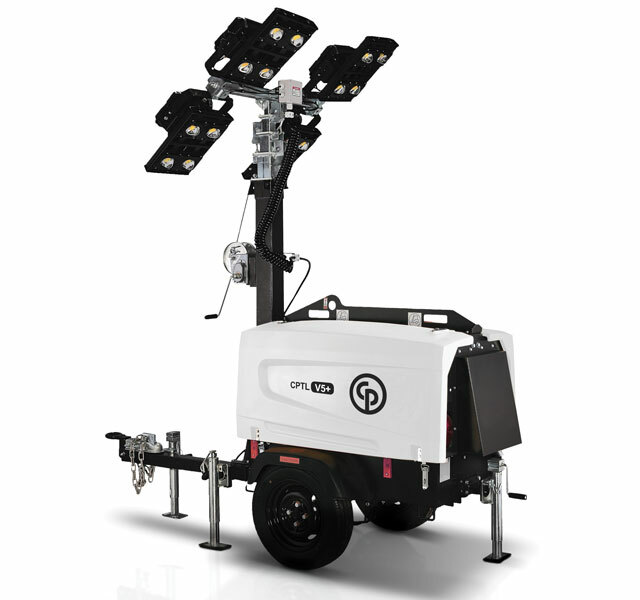 As the article said, LED technology is trending in the light tower market, and manufacturers are seeing an increasing interest in LED models among customers. Here, three companies point out their most popular units — all of which boast LED bulbs. Chicago Pneumatic Power Technique’s Eric Massinon says out of the three portable models the company offers, the CPLT V5 + reigns supreme thanks to LED lights. Find more enlightening information on light towers here.